The Samsung Galaxy Note 9 is expected to be unveiled on August 9th during Samsung's next Unpacked event. We expect the biggest news on the 9th to be about the new features available on the updated S Pen. FCC documentation revealed that the stylus will connect to the Note 9 using the 2.4GHz frequency employed for Bluetooth LE. That would seem to indicate that rumors about the Note 9's S Pen having Bluetooth capabilities are true. And while the Unpacked event is more than a month away, support pages for the Galaxy Note 9 model SM-N960F/DS have started to appear on Samsung websites in various countries. 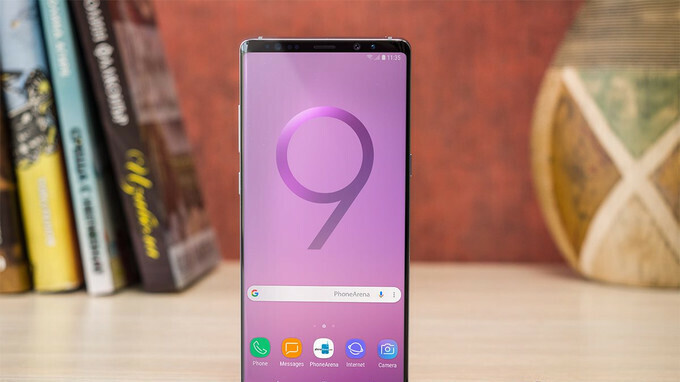 These pages answer questions about Quick Charging, how to transfer data from a user's current daily driver to the new Galaxy Note 9, how the user gets his email address on the new handset, and how to load and use Dual SIM cards. Unfortunately, the pages appear to be mere placeholders and don't reveal any details about the Note 9. We translated one of the support pages to English for your reading pleasure. You can view it by clicking on this link. Tuki Suomi? You mean Finland? So what's new with this phone? As much as with any IPhone release. Watch the unpacked event, see for yourself, and stop depending on others to tell you. Have you not had internet access the past few months? It's going to be exciting to see what this phone brings. The fact that it's going to fit a new and more powerful pen, along with a 4000 mAh battery is impressive. I'm also quite interested to see how the new Exynos tuning is going to improve the performance. It's obviously going to have all of the typical improvements that you expect from a new smartphone on top of that. As per usual with Samsung, it's going to have the best screen on the market, a title that the Galaxy S9 holds at the moment.